This great Italian scientist may be responsible for the development of the scientific method anyone. Galileo was born in Pisa in 1564. While studying at the University of Pisa young but stalled because of financial affairs. Yet in 1589 he was able to be a teaching position at the university. A few years later he joined the University of Padua, and remained there until 1610. In this period he created piles of scientific discoveries. His first important contribution in the field of mechanics. Aristotle taught that heavier objects fall faster than lighter objects, and generations of intellectuals swallowed the great Greek philosophers think this influence. However, Galileo decided to try first whether or not, and through a series of experiments he concluded that Aristotle was wrong. The truth is, both heavy and light objects fall at the same speed except to the extent they decelerates due to a shift in the air. (Incidentally, the habit of throwing objects Galileo conducted experiments from the tower of Pisa apparently unconsciously). Knowing this, Galileo took steps further. Carefully he measured the distance at which objects fall prescribed and received evidence that the distance traveled by a falling object is directly balanced by the number of seconds squared falling objects. This discovery (that means uniform acceleration) has a significance of its own. Even more importantly enabled Galileo to collect his invention with mathematical formulas. Extensive use of mathematical formulas and mathematical methods are important properties of modern science. Galileo's other major contribution was his discovery of the law of inertia. Earlier, people believed that things move by themselves tend to be more slowly and completely stopped if there is no power that adds strength to keep moving. But Galileo's experiments proved that assumption to be false. When forces such as friction slows, it can be eliminated, moving objects tend to stay in motion indefinitely. This is an important principle that has been repeatedly confirmed by Newton and coupled with the system itself as one of the first law of motion vital principle in science. Galileo's most famous invention is in the field of astronomy. The theory of astrology in the early 1600's are in an uncertain situation. There is difference of opinion between the adherents of the theory of Copernicus that the sun-centric and adherents of the older theories, the earth-centric. Around the year 1609 Galileo expressed his belief that Copernicus was in the right, but at that time he did not know how to prove it. In 1609, Galileo discovered the telescope heard that people in the Netherlands. Although Galileo only heard vague about the equipment, but thanks to his genius he was able to create its own telescope. With this new tool he turned his attention to the sky and only a year he had managed to make a series of major discoveries. He watched the moon is not flat but bumpy, full of craters and mountains. Heavenly bodies, in summary, it is not flat and smooth but irregular as the face of the earth. He looked at the Milky Way and seemed to her that she was not the kind of fog at all but rather consists of a large number of stars with the naked eye is as mixed and mingle with one another. Then eye on planets like Saturn and behold him circled bracelet. Telescope glance at Jupiter and knew he was four months circling that planet. Here the light-benderanglah him that celestial objects can be rotated around a planet other than Earth. Preoccupation to-be: staring at the sun, and he could see there were spots in his face. Indeed there are other people who previously also see spots, but Galileo published his findings in a more effective and put the trouble spots sun it concerns the world of science. Furthermore, the research turned to the planet Venus, which has a similar right with long term month. This is an important piece of evidence confirming the Copernican theory that the earth and all the other planet revolves around the sun. Discovery of the telescope and Galileo series this discovery throws up the fame ladder. Meanwhile, support for the Copernican theory, cause she's dealing with the church who oppose it completely. Conflicts of this church reached its peak in 1616: he was ordered to refrain from spreading the Copernican hypothesis. Galileo was squashed with this restriction for years. Only after the Pope's death in 1623, he was replaced by someone who admired Galileo. The following year, Pope Urban VIII-new-foreshadowed even vaguely that the ban made no longer forced Galileo. 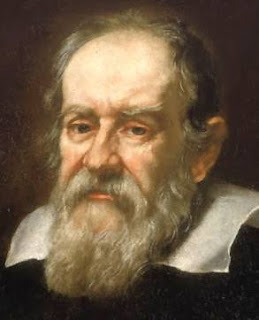 Galileo spent the next six years as the first important scientific work Dialogue of Two Worlds Important System. This book is a great demonstration of the things include support for the Copernican theory and the book was published in 1632 with special permission from the church sensor. Even so, the church authorities responded with the attitude and furious when Galileo published books directly dragged into the face of the Religious in Rome on charges of violating the ban in 1616. But clearly, many church authorities are not happy with the decision to punish a renowned scholar. Even under the laws of the church, Galileo case was questioned and he was just sentenced lightly. Galileo was not thrown into jail but just got house arrest in his own home is quite good in a villa in Arcetri. In theory he should not receive guests, but in fact the rule was not implemented properly. Another penalty against him was a permintaarn that he publicly retracted his view that the earth revolved around the sun. 69-year-old scientist execute in open court. (There is a famous story that is not necessarily true that after Galileo interesting he thinks down to earth and whispered, "Look, he's still moving!"). In the city he wrote Arcetri he continued working in the field of mechanics. Galileo died in 1642. Galileo contributed greatly to the progress of science has long been recognized. The significance lies in the role of scientific discoveries such as the law of inertia, the invention of the telescope, the field of astronomical observation and hypothesis Copernicus prove his genius. And more important is its role in the development of scientific methodology. Generally the natural philosophers based his opinion on the thoughts of Aristotle and to make a qualitative inquiry and the phenomena categorized. Instead, Galileo define phenomena and make observations on a quantitative basis. Careful emphasis on quantitative calculation has since become the basis of scientific investigation in the subsequent periods. Galileo may have more responsibility than any person for scientific inquiry with empirical attitude. It was he, and not the other, who first emphasized the importance of show trials, he rejects the notion that scientific issues can be decided along with the power, whether the power is the name of the Church or the arguments of Aristotle's rules. He also balked rely on schemes that use complex reasons and instead rely on a trial basis is steady. Ingenious century scholars discuss rambling amid what should happen and why things happen, but Galileo insisted on the importance of doing experiments to ascertain what actually happened. Clear scientific view is clearly not mystical, and in this connection he was even more modern than his successors, such as Newton. Galileo, can be considered a religious person. Regardless of the sentence imposed on him and his testimony, he did not reject both religion and the church. That rejection is experimental church authorities to suppress science investigation efforts. The next generation is very reasonable Gahleo admired as a symbol of the rebel against the authoritarian dogma and trying to handcuff the independence of thought. Its importance is more prominent mention is the role it plays in laying the foundations of modern scientific method.